I realized this week that our household really likes Mexican food. And chicken. And cream cheese. Part of my reason for including multiples of those ingredients is because they’re cheap. And when you’re filling your freezer with lots of food at once, you try to cut costs wherever you can. These Cream Cheese Chicken Chimichangas are another favorite here because they’re just so darn good! 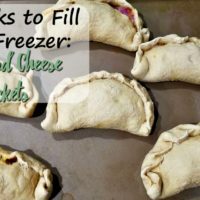 They’re simply filled with chicken, cream cheese, taco seasoning, and shredded cheese and baked in the oven. And if you’re worried about nutrition, serve with a veggie side like roasted zucchini. 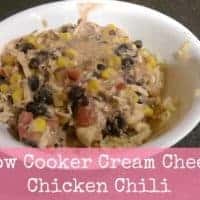 I like to batch cook, so I cooked the chicken the previous day in the slow cooker along with the chicken for the burritos. 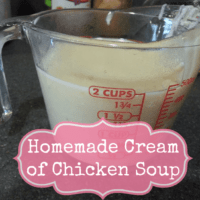 All I had to do was pull the chicken out of the fridge and mix it with the other ingredients; so easy! Add about a half cup of the mixture to 8 tortillas, and fold them up tightly. Bake them at 375 degrees for 15 minutes, then flip and cook for another 10 minutes or so. 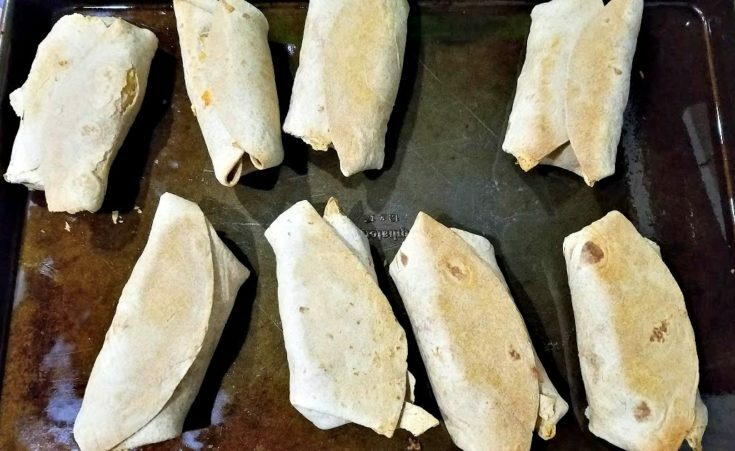 After they’ve cooled for about 30 minutes, put them on a cookie sheet lined with parchment paper and place in the freezer. Then they can go straight into a gallon-sized freezer bag. It’s best to thaw these in the fridge overnight before reheating. Microwaving from frozen tends to make the tortillas hard and the insides cold. 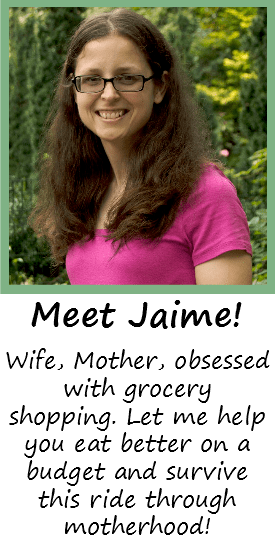 I’m getting excited about all the delicious meals in our freezer! I’ll admit, this is a lot of work; but not having to cook much in December is SO worth all the hard effort right now. 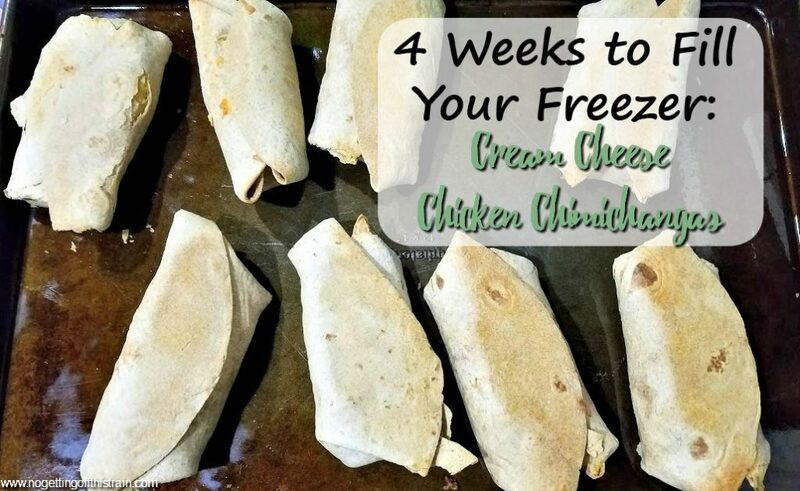 Are you participating in the 4 Weeks to Fill Your Freezer challenge? Leave a comment and let me know how you’re doing! Need an easy, handheld lunch? These Cream Cheese Chicken Chimichangas are a delicious freezer friendly meal option when you're in a rush! Cook the chicken in a slow cooker for about 4 hours until fully cooked. 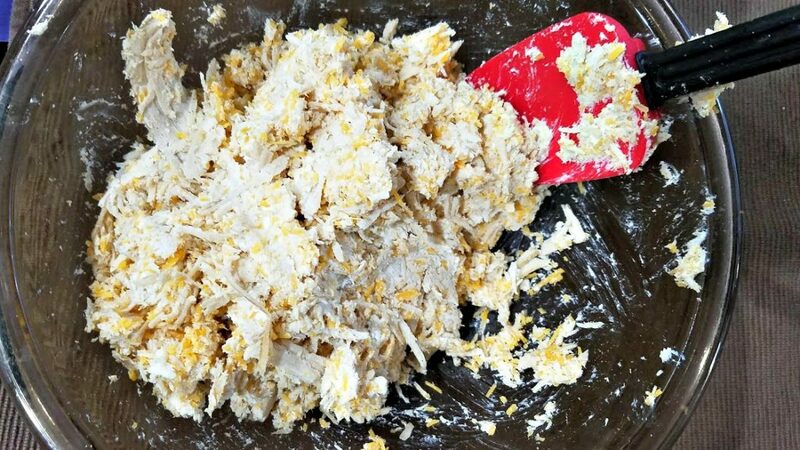 Shred and mix in a bowl with the cream cheese, taco seasoning, and tortilla shells. Using a half cup, add some of the chicken mixture to 8 tortillas. Fold both ends together and wrap tightly, placing seam-side down on a greased cookie sheet. Bake for 15 minutes, then flip and bake for another 10 minutes. To freeze, let the chimichangas cool for about 30 minutes. Place them on a cookie sheet lined with parchment paper, then put in the freezer. 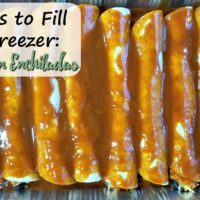 Once completely frozen, put them in a gallon-sized freezer bag. To reheat, let thaw in the fridge and heat in the microwave.